Since the arrival of Ole Gunnar Solskjaer, Manchester United have played brilliantly. They are in a strong position to finish fourth in the PL and are in the last eight of the Champions League as well. I think the players seem very happy under the new boss and the club must back him with ample funds to strengthen the squad in the summer. The Red Devils need to sign top quality players in the transfer window, more importantly, they must make sure that none of the star players leave the club. According to an exclusive report covered by The Sun, French champions, PSG, are ready to match David De Gea’s wage demands of £350,000-a-week and they will pile pressure on Man Utd with a move of £60million. The British outlet have mentioned that United are desperate to keep the Spanish international but he will opt to quit if the Old Trafford club do not offer him the above mentioned wages. The former Atletico Madrid star is arguably the best shot stopper in the world. For us, he has been priceless over the years and in all fairness, he has been our best player in the post-Ferguson era. The 28-year-old star has won the Sir Matt Busby Player of the Year award in four of the past five seasons and he is the only Man United player, who has won the prize four times since it was first awarded back in 1988. United have not won the Premier League title since the 2012-13 campaign and losing De Gea in the summer would be a major set-back. Therefore, Solskjaer and the club management must hand him the new deal that he so richly deserves. 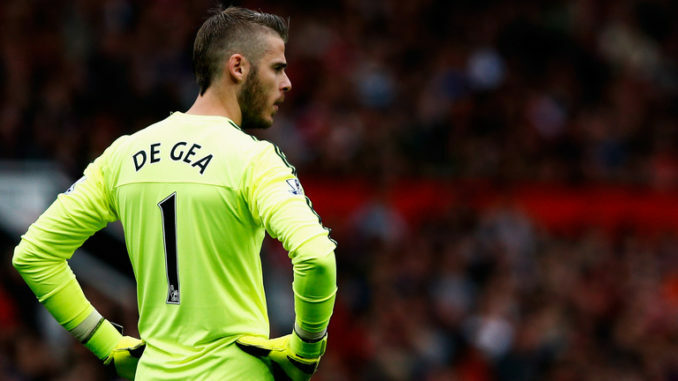 In your opinion, does De Gea deserve to become the highest paid goalie in the world?